Miguel Sanó is a Dominicans professional baseball player who plays in the Major League Baseball (MLB). As of 2019, Miguel Ángel Jean Sanó currently plays for the Minnesota Twins as their Third baseman. Miguel Ángel Jean Sanó made his MLB debut in 2015. As a Third baseman, Miguel Ángel Jean Sanó reportedly earns around $2,650,000 as his yearly salary from Minnesota Twins. Further, Miguel Ángel Jean Sanó has an estimated net worth of over $5 million. How Much Is Miguel Sano's Net Worth and Salary In 2019? As of 2019, Miguel Ángel Jean Sanó has an estimated net worth of over $5 million and earns around $2.65 million as his annual salary. In addition to this, he has earned a sum of around $7,646,633 from his entire MLB career until 2019 and in the near future, he is projected to earn a good fortune. Miguel Sano reportedly signed a one-year contract worth $2.65 million with Minnesota Twins on January 11, 2019. Furthermore, the contract gives a sum of the guaranteed sum of$2,650,000 and his annual salary from the team Minnesota Twins is around $2,650,000 in 2019. Kept aside Miguel Ángel Jean Sanó financial earnings, his personal assets includes home and cars. Moreover, he earns a good amount of money from various sponsorships. Is Miguel Sanó Married Or Single? 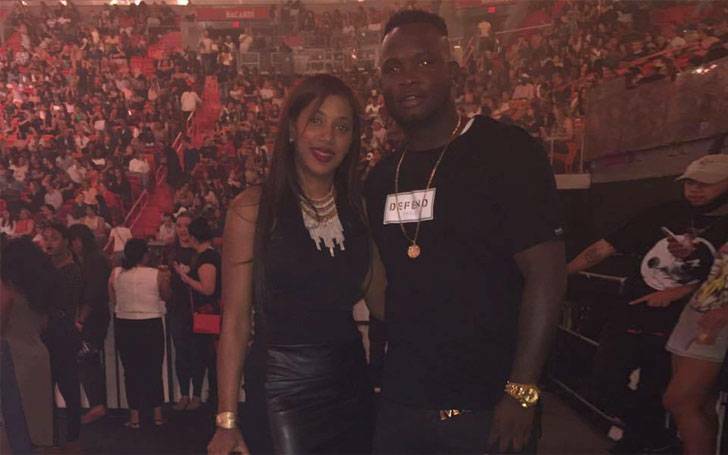 Miguel Sano is a married man and he is married to his gorgeous and charming girlfriend Daniela Sano after being in an affair for a very long time. The couple started dating each other in 2009 and dated for around 6 years before getting married. His wife Daniela gave birth to a child named Angelica Sano, on Nov. 28, 2014. Unfortunately, the child survived for only six days and died due to the heart problem. There aren't any further details regarding the wedding ceremony and the spouse of Miguel Sano on the media. So far they seem happy in their married life since they haven't shared any rumors regarding their separation or divorce. Furthermore, as going on exploring his official social sites, he hasn't mentioned much about his personal life but it can be said that he spends a lot of time with his family. The Famous MLB star is 6 feet 3 inch in height and weighs around 118 kg. Miguel Ángel Jean Sanó is not only a world-class athlete but also has a very attractive individual. Besides his popularity in baseball sports, he is also a famous social media star celebrity with a large number of fan followers on his official social accounts. Miguel Ángel Jean Sanó was born on May 11, 1993, in San Pedro de Macorís, the Dominican Republic to parents Ricardo Jean and Melania Sano. He is Dominicans and belongs to the Mixed ethnic group. Further, his star sign is Taurus. Miguel Sano started his professional career with the Minnesota Twins in 2009 where he sigh=ned a contract with them. This contract also has the 2nd highest bonus for a Dominican player besides Michael Ynoa. He was promoted to the major leagues in the 2015-16 season. Currently, he is playing for the Minnesota Twins team and is playing alongside Nelson Cruz.